Let's start Spring with a new contest! Can you guess which Mediterranean town we are referring to? The winner is drawn from the correct answers given at the comments beneath this post. 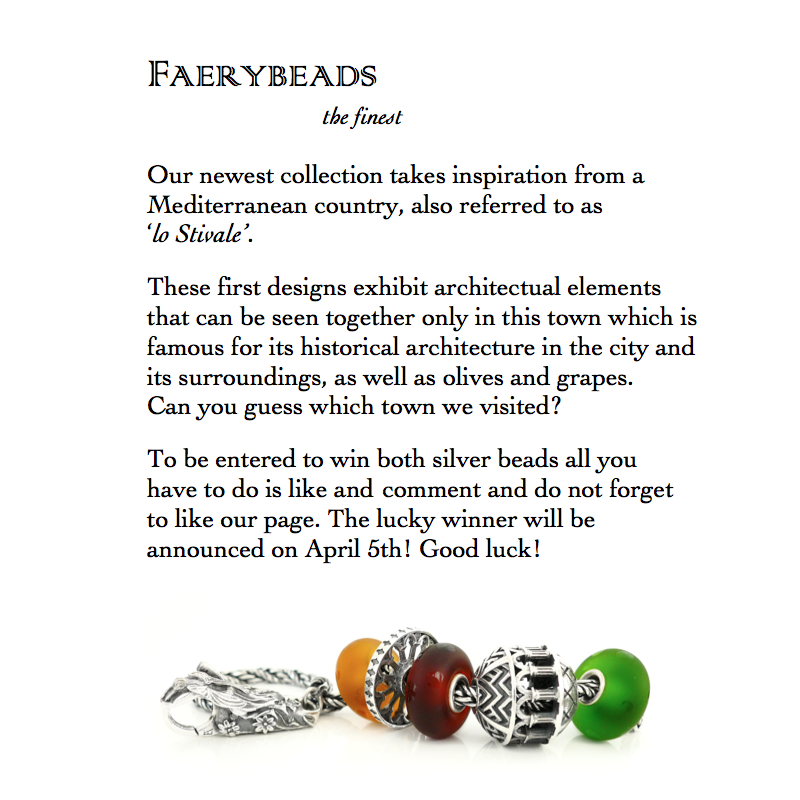 The winner, to be announced on April 5th, receives both silver beads shown in the picture. The beads are shipped as soon as the collection is released. It looks like Florence to me. I'm guessing Florence, Italy too. Going for vacation there in april! Apparently it is more difficult to guess than anticipated. A hint: one of the patterns on the spherical bead is distinctive among this kind of buildings and this part of the building. No idea, but I guess Venice. Perhaps we should award the first one who gives the right answer. Fantastic beads by the way! Is it Istanbul - Turkey perhaps?